In learning English, it is important to have a solid foundation to ensure effective progression. Our Children English course is designed to improve your child's language learning and develop their skills at communicating in English. It is informative, fun, and engaging - suited for kids who love learning as much as we love teaching. No minimum requirements. Applicable to all levels of learners aged 4 to 10. 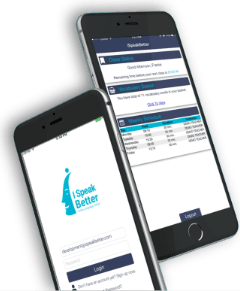 The basic English lessons at ISpeakBetter provide the most important points for beginning level English learners. We integrate phonics, storytelling, songs, grammar, vocabulary, and a selection of topic-based activities into our language lessons. Children are incredibly adapted to learning languages and pick up new words, phrases and basic grammar structures easily. We make learning English easy and fun because we believe that when English students enjoy themselves, they learn a lot more and faster. Learners are introduced to stories, activities, and discussions that develop their comprehension of the English language. Being able to understand what is being communicated to them is the first step to being able to communicate effectively as well. Learners are taught of basic English concepts to set a good foundation in the learning process prior to moving forward in more advanced courses as they get older. Language Coaches are dedicated to practice each learner's speaking skill, especially proper word placement, sound differentiation, and pronunciation through regular feedback and correction. We believe that short stories are a creative way for young learners to develop their comprehension of the English language, consume new vocabulary words, adapt proper grammar concepts, and learn proper pronunciation.